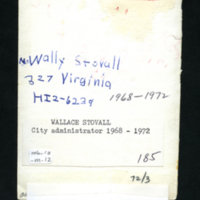 Mr. Wally Stovall 327 Virginia HI2-6239 1968-1972 -- handwritten on back of photograph. 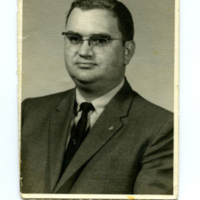 unknown, “Wallace Stovall,” Hesston Public Library, accessed April 19, 2019, https://hesston.digitalsckls.info/item/1329. 3.5 in x 5 in.